Don’t let the next snow storm make you wonder what it’s like to live in the desert. Face it, we all love New York! Enjoy this year’s snow by letting us do all of the hard work for you. 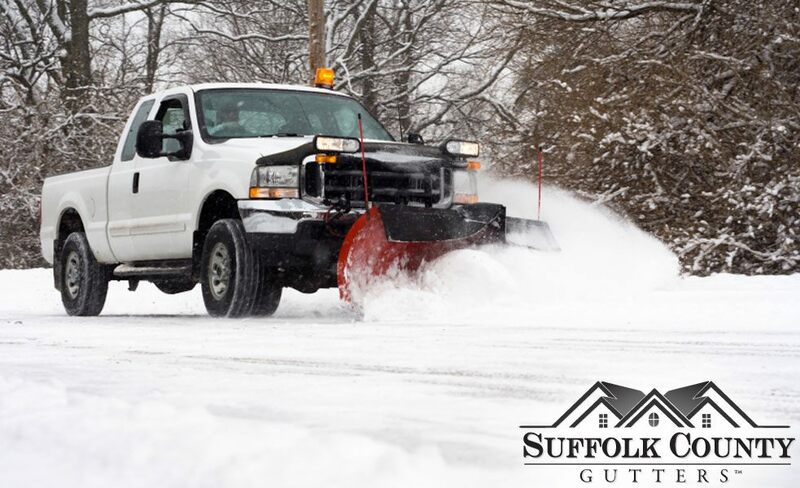 From basic snow removal on your home’s driveway and sidewalk to plowing private roads, drives, entry ways and parking lots, let our team at Suffolk County Gutters move your snow. We do snow removal and plowing for both residential and commercial properties. Fast, reliable, and always professional, you can guarantee that your life will be easier next time it snows – just give us a call! Snow removal and plowing helps keep you, your family, and your community safe during winter weather and storms. Snow accumulation and icy conditions can be dangerous and trying to move snow yourself can be difficult and potentially dangerous as well. Don’t risk a slip or injury! We have the experience and the tools necessary to do the job right, no matter the size of the project or the amount of snow on the ground! Remember to call Suffolk County Gutters the next time you need help with removing or plowing snow. You’ll be glad you did!